Samsung to drop Symbian for Bada? 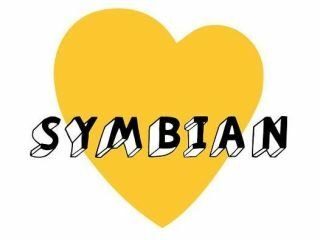 Samsung set to sack off Symbian? Samsung is apparently set to drop the Symbian operating system in favour of its new platform, a Samsung exec has revealed. According to Digitimes, Samsung's senior VP Don Joo Lee has stated that the company is looking to quit the Open Symbian Foundation in favour of its own open OS, Bada. This is especially odd news considering that Samsung is one of the main proponents of the Open Symbian Foundation and was considered one of the leaders given Nokia (the owner) has a dual focus on that and Maemo. However, Samsung has now apparently stated that it will be only looking at its own OS along with Google's Android and Microsoft's Windows Mobile for future phones, presumably to streamline its efforts and not support multiple systems. Samsung obviously believes this to be a positive step as it's looking to increase shipment volumes by 20 per cent in 2010 (to around 240 million units), which it believes will be through the use of new technologies such as HD screens and more powerful CPUs under the hood. We've contacted Samsung to get further confirmation over it Symbian plans, and also to find out more about Bada, which still is confusing some people at the moment as to what Samsung plans to do with it.